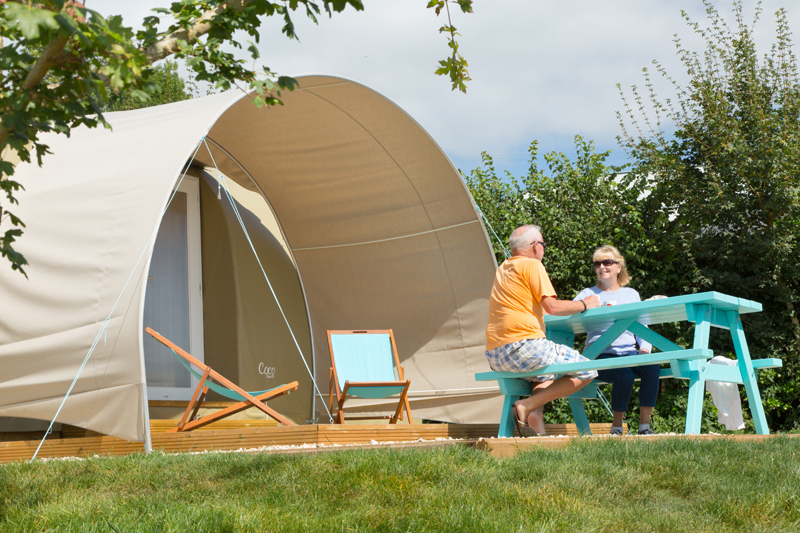 A family and pet friendly site on the coast near Sidmouth in Devon, celebrating over 75 years. 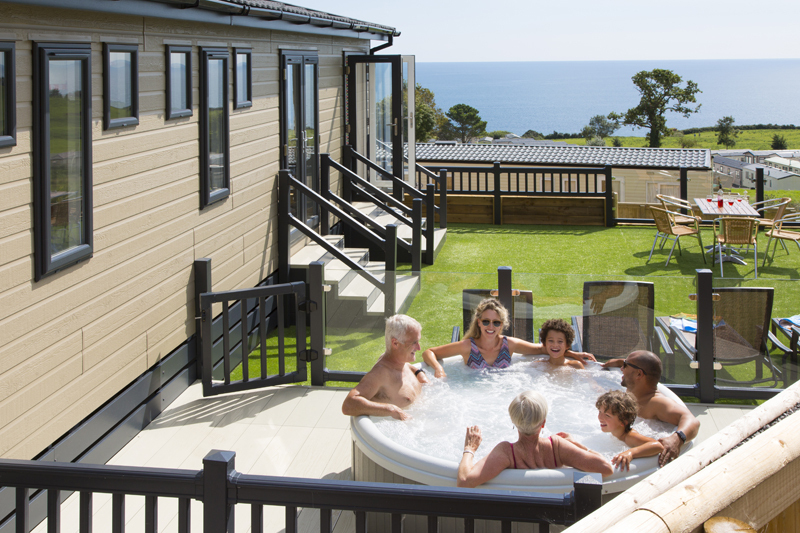 Ladram Bay is a family friendly and pet friendly campsite in Devon. 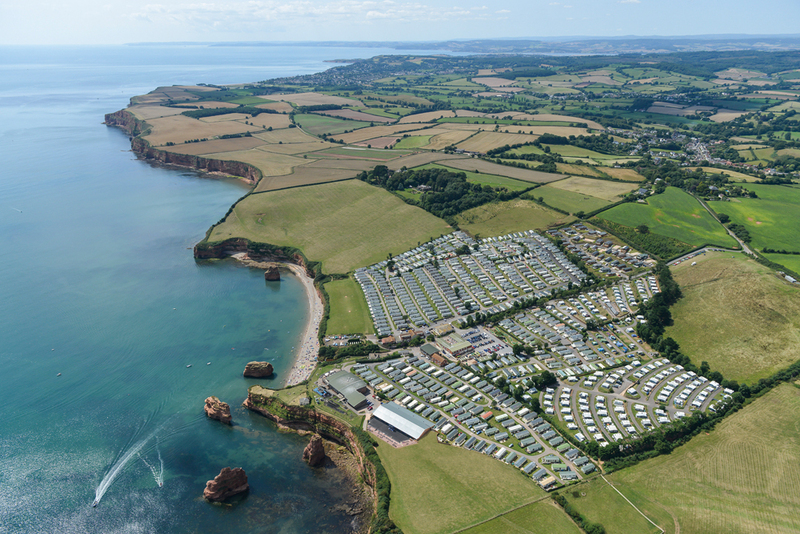 All of its touring pitches are fully serviced and arranged to give great views across the bay – this is a very special place to spend your holidays in Devon. 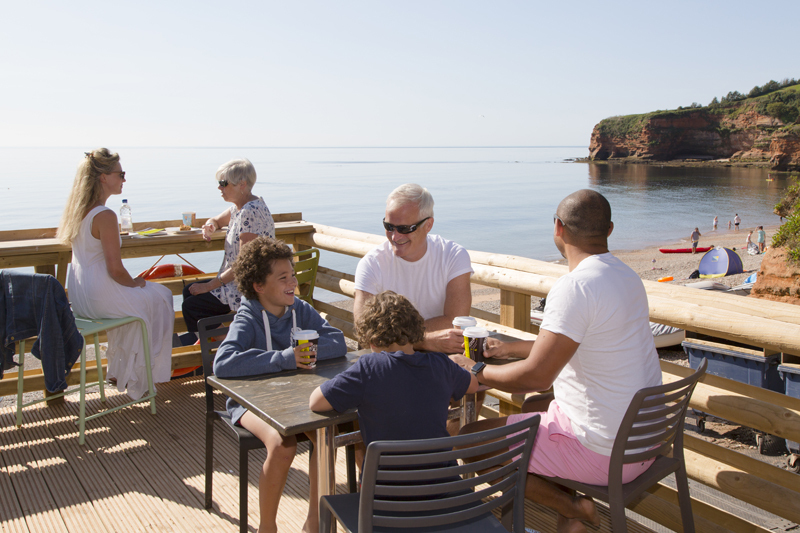 There’s no need to drive to the coast while staying at Ladram Bay, as the holiday park has its very own private, sheltered beach located perfectly on the Jurassic coast in an Area of Outstanding Natural Beauty. 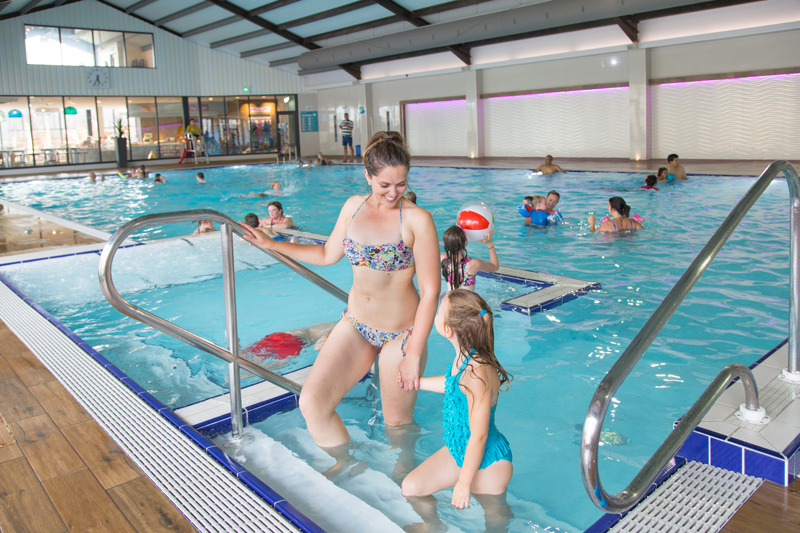 With a range of beach activities available including paddle board, kayak and boat hire plus the Beach Shack providing refreshments, it's a great day out for the family. Dogs are not allowed on this beach but there are many dog-friendly beaches close by. The new outdoor splash zone featuring water features, spray guns, and a pirate ship is proving popular and is perfect for exploration and adventures. 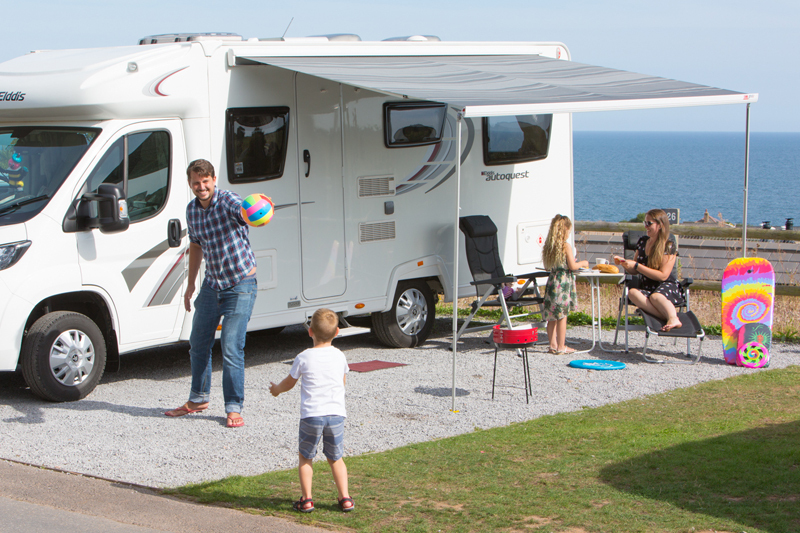 There is so much to do at Ladram Bay Holiday Park that you won't be short of things to do on your self-catering, motorhome, camping and caravan holidays in Devon. 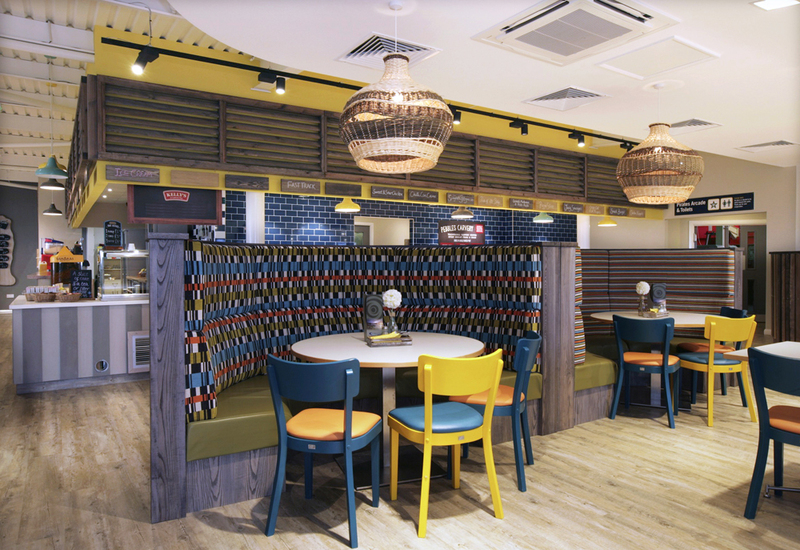 But if you choose to head off-site, the small town of Budleigh Salterton is a 10-minute drive away. 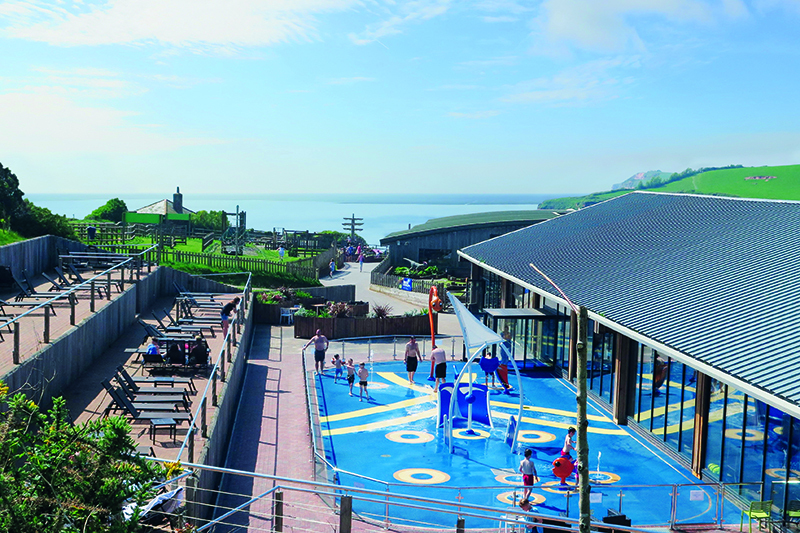 Sidmouth is a 15-minute drive from the campsite and the local area provides a plethora of attractions to visit.